Jo sent in this terrific idea of Tea Bag holders that she makes and sells at her etsy store. This particular one uses a Time for Tea design. To see Jo's etsy store please visit the link next to the the photo! 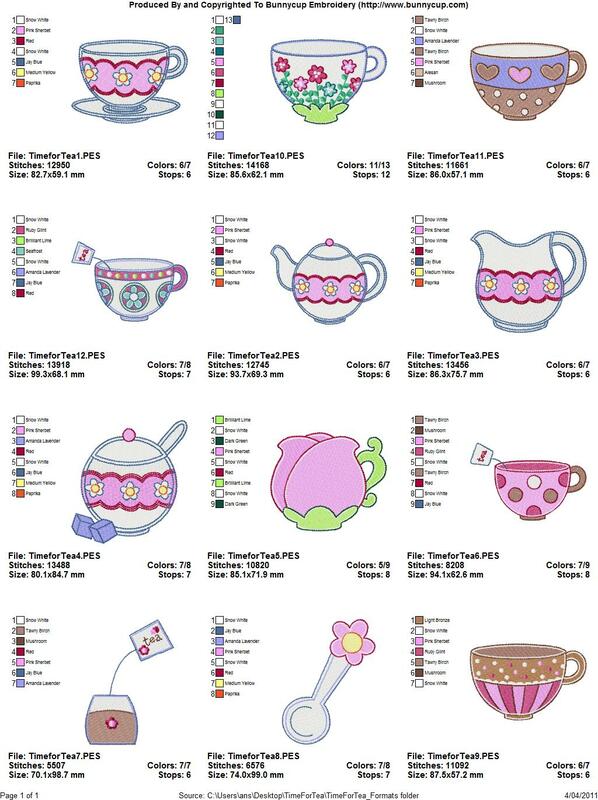 Bettie sent in this picture of a clever project she made using a Time for Tea design. She performed some editing to make into a reverse applique design and did a fantastic job!